Mailbox Monday is a weekly meme started by Marcia years ago, and has since jumped to different hosts. 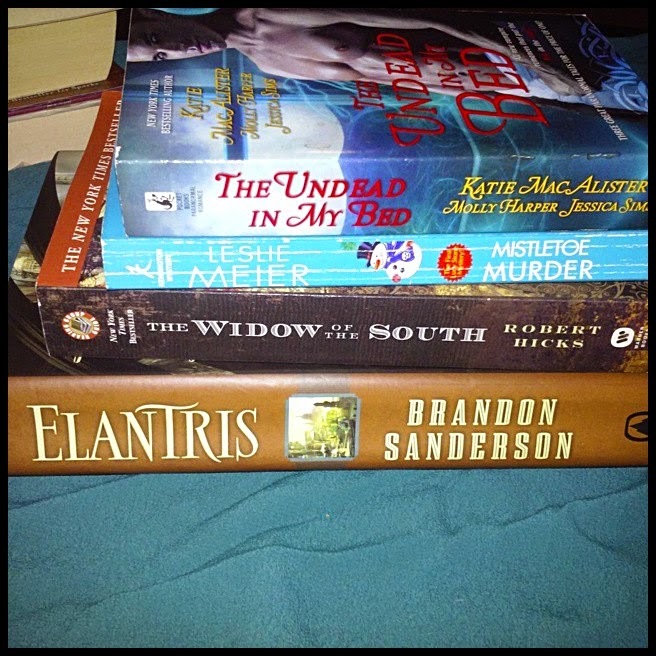 It's a post to showcase books and book-related items gathered through the previous week. 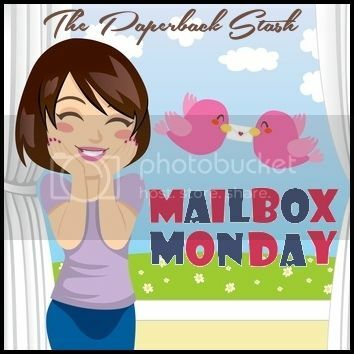 Since I haven't been book shopping as much, I was looking forward to finally doing another Mailbox Monday. For fun, I ordered a new book this week from Amazon that was released a few days ago, got some bookish gifts from a great friend, and hit up the local library sale of the year. Definitely a worthy book week. It's finally here! 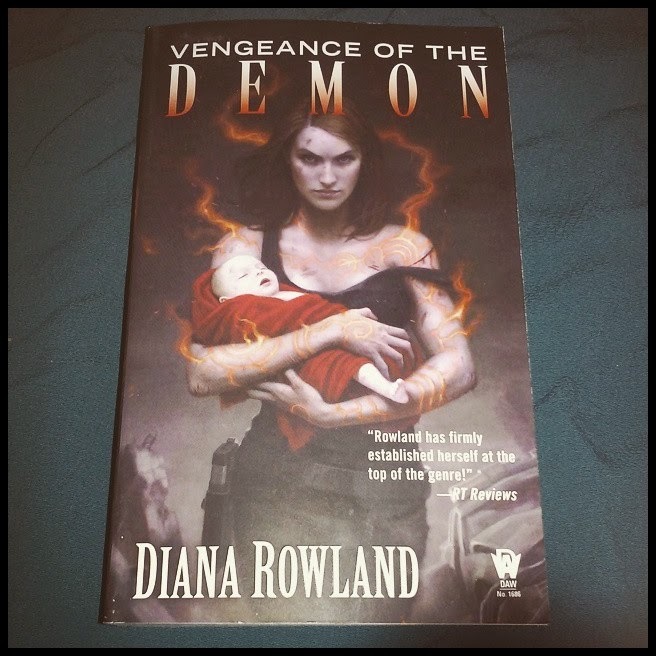 Diana Rowland's new book in the Kara Gillian series. I almost missed the notice of this even thought I had it on my 'waiting release shelf' at Goodreads since last year. Thankfully it caught my eye from a friend - I preordered and received in the mail (thanks Amazon) a few days after its release. 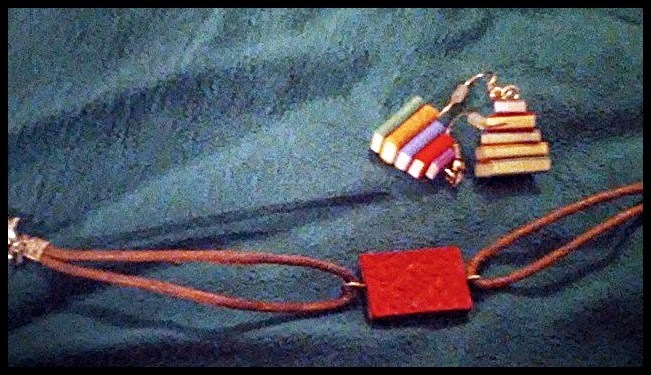 A nifty surprise - my great, great, GREAT friend Amber brought me these bookish EARRINGS and bracelet as a gift! I've never had ANY bookish jewerly - bookish bags, bookish shirts, but never bookish jewelry. To say I love these is an understatement. They are awesome, and the little books even move if you twist them with your fingers. The bracelet is charming. It's that time again - the yearly book sale from my local small library. They have the funds now to move, and move they did, pushing their yearly sale to this month instead of the usual February. 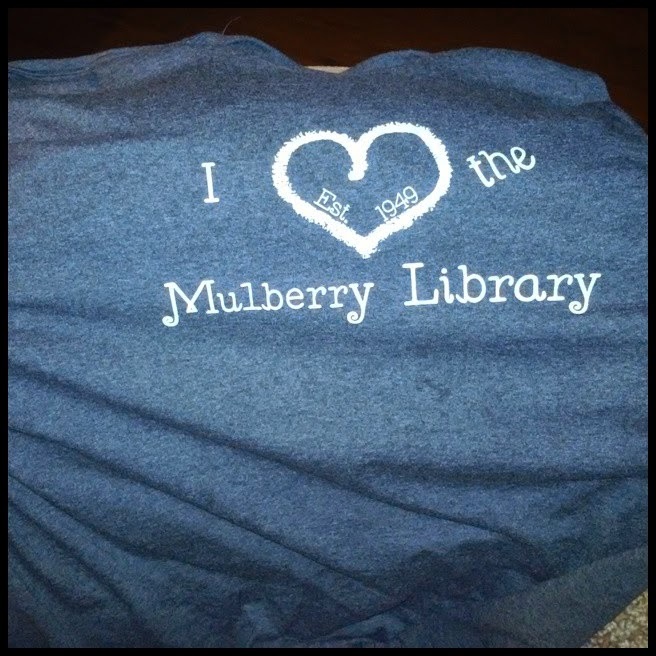 No cool book bags for sale this year, but they did have THIS T-shirt, which I love, is comfortable, and good quality fabric. 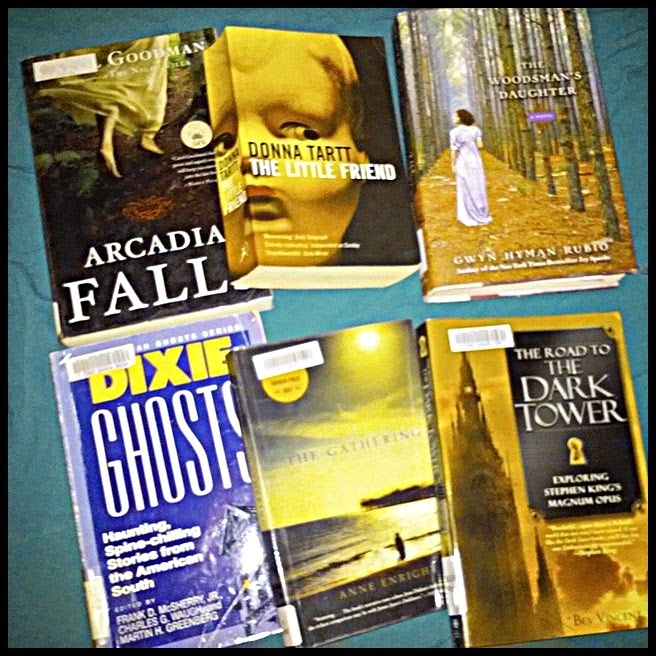 Apologies for the blurry picture - here's from the yearly library sale. Dixie Ghosts looks awesome since nonfiction ghost books are awesome (easy to explain, see?) The Gathering is a fiction book set in Ireland that sounds intriguing, although the reviews aren't too high. We'll see one day! The same can be said for the ratings for Arcadia Falls, but the blurb for this makes it sound so good, so it turns out to be one of those cases where I like it better than others. The Little Friend sounded like a creepy book, maybe a horror one, but I've been assured it's NOT horror but a type of drama - either way sounds great. The Woodman's Daughter has the lowest reviews of the group, barely three, so not sure if picking up this historical novel was a good choice. And finally, the joy of the day's find - The Road to the Dark Tower: Exploring Stephen King's Magnum Opus, a Dark tower companion guide! Not usually something you find used, cheap, so I'm delighted. Here's the last of the group - The Widow of the South sounds like historical drama that should interest me, although it's likely depressing. Mistletoe Murder is a cute, cozy, holiday-themed mystery that's part of an existing series. When I went to add it, saw I had it on my wishlist already, so score. The Undead in My Bed is a three-story vampire-themed anthology that is PNR. And last but never least - Elantris by Brandon Sanderson. An author well liked and respected, this is a straight fantasy book, and my luck to find it since it's the opening book to the series.